In 1915, American anthropologist Robert Lowie declared, “I cannot attach to oral traditions any historical value whatsoever under any conditions.” Some colleagues, such as Franz Boas disagreed, and debate has continued since then about the "historicity" of oral tradition. These days, Dr. Aron Crowell, Alaska Director of the Smithsonian Arctic Studies Center, is contributing to the debate with his own anthropological findings from a research project in Alaska that’s searching for (and finding) archaeological sites using oral history as a guide. Specifically, Crowell and a team of researchers supported by the Yakutat Tlingit Tribe, the Sealaska Heritage Institute, Sealaska Corporation, the U.S. Forest Service, and the National Park Service are partnering on research into the unique history of the Yakutat people and their relationship to one of Alaska’s richest ecosystems. In this multifaceted project, archaeologists are uncovering dwellings, artifacts, and animal bones at sealing camps and village sites, revealing ancestral lifeways; elders are recording place names and centuries-old oral traditions; geologists are tracking the glaciers’ movements through time; and hunters are sharing knowledge about seals and seal hunting, from past to present. Yakutat students are working with the scientists, to help rediscover the traces of their grandparents' way of life on the land. In this case, that discovery is centered in Yakutat Bay, Alaska, where glacial recession after A.D. 1100 opened the fiord for colonization by harbor seals and for successive waves of Sugpiaq, Eyak, Ahtna, and Tlingit settlement. According to the project’s Facebook page, the project was inspired by George Ramos Sr., L’uknax.adí Tlingit clan elder and traditional scholar, who learned the names and locations of ancestral sealing camps during his training as a young hunter. In his words and those of other Yakutat elders, the seals are the glacier’s gift to the people, and have sustained their way of life for centuries. The stories, which have persisted for generations, offer unprecedented insight into the locations and activities of ancient people, information that can aid archaeologists in their searches. It isn’t just tribal stories helping archaeologists discover historic sites, says Crowell. Modern archaeologists are uncovering information that broadens and adds context to the oral history. 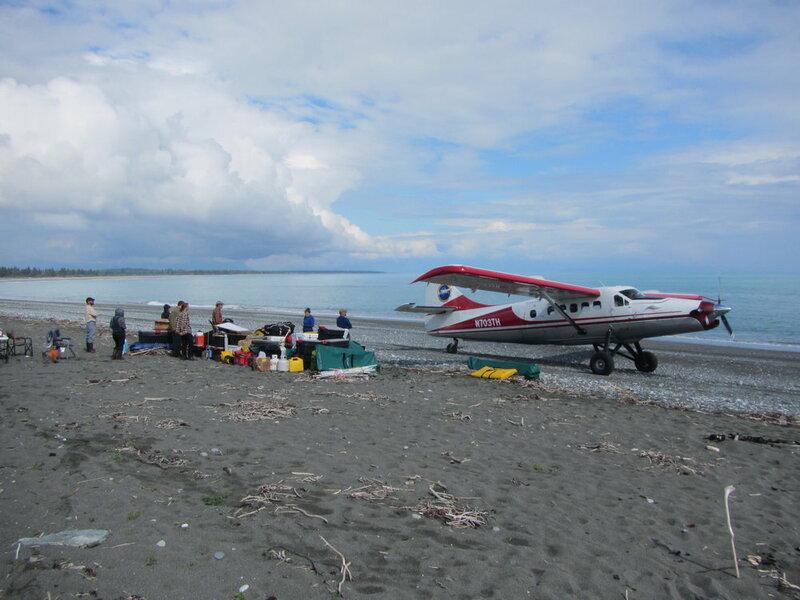 It’s an enormous undertaking that’s sent Crowell and his team out into the field every summer from 2011 to 2014 In the course of their research, the team has uncovered settlements, conducted interviews in the Native village of Yakutat, , and more. It also takes place in what Crowell describes as “the most spectacular setting I have ever seen in the North.” Giant glaciers come in at the head of Yakutat Bay and tower nearly 250 feet above the water (all told, the glaciers measure roughly 600 feet, from the sea’s floor to their top). Enormous peaks surround the bay. The landscape is treeless and covered in brush. A seal rookery supports about 2,000 of the animals, and Crowell estimates that in the heyday there were 30 times that many. As for the project’s implications, well, they’re big, says Crowell. More, the project brings a host of benefits to indigenous communities, including education and inspiration for students, the development of a place-based science curriculum, and a renewed acknowledgement of the importance of subsistence at Yakutat, says Crowell.